My concern is the thickness, 10.7 for 920 and 11.5 for 900 !!! Is it true that lumia 900 is thicker that lumia 920 ? Since in hands on clips it shows 920 very thick compared to 900 !!! I like lumia 920 but I was a bit unhappy about the thickness before I know the above information. I just want to ask whom carried 920 is it feels thinner than 900 ? Last edited by alrutani; 09-11-2012 at 06:44 AM. Can it be that Nokia is faking this also ? 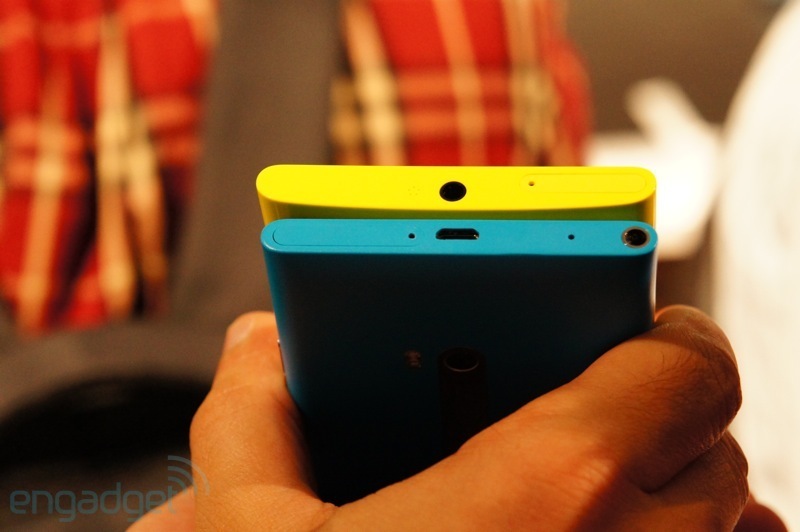 The 920 appears thicker in pictures because it doesn't have tapered edges the way the 900 does. Yeah I love the 920 and the 900, but the thickness was a deal breaker for me, although I love the design(the white Lumia). I guess the inbuilt wireless charger is the component that added the thickness to the device. Still waiting for whom carried the two devices by hand. Nokia listed the 10.7" as something called "volume thickness". I don't know what they meant by that. My guess is that this means that if you take the current volume of the phone (meaning the quantity of space that it takes up) and put it into a completely rectangular box with the same height and width, then that box would be 10.7" thick. Since the phone is not completely rectangular its maximum thickness is more than 10.7".